On behalf of Admin of JML Law, A Professional Law Corporation posted in Product Liability on Tuesday, Sep 18 2018. On a daily basis, we use products to help us throughout the day. Products such as coffee cups, umbrellas, cars, handbags, cell phones, etc. We use these products every day and when we purchase these products we don’t necessarily look into their functionality. Sure, for a car we will take it to a mechanic or if we buy a refurbished cell phone we will look up where it comes from, but at the end of the day, we trust the seller and the company. If you have a brand that you love and trust then you continuously purchase their products. But what if there as only one brand? What if that brand starts to fail you? This is the case for epi-pen users. There is a monopoly on the market and if your life relies on the product then you would hope that the product works to its full potential; however, that isn’t always the case. In past few years, there have been seven reported deaths due to malfunctioning epi-pens. When it comes to companies who produce life-saving drugs or materials, they do not get a second chance. One death is too many. Some malfunctioning epi-pens have been dated as far as 2014. Pfizer, one of the leading companies who manufacture epi-pens, have suggested that most errors are due to people who are not medically trained. Yet, there are contradicting statements from inspectors of these companies suggesting that there are faulty epi-pens being made. Imagine, you are a mother, father, or guardian of a precious 4 or 5-year-old. You take them to a playground with other children. One of the other parents has brought snacks. Your child takes the snack unknowing that it is made with peanuts. You don’t realize the ingredients of the snack until it is too late. You frantically rummage through your bag to find the epi-pen before it is too late. You go to administer the epi-pen but isn’t functioning correctly. While you were busy finding the pen you know how to try and find your phone to call 911. Your child has to be hospitalized and your medical bills accrue as well as your worry and stress for your child. The one product that has no room for error was not functional. What do you do now? For over 35 years, our law firm has represented a myriad of defective product cases. 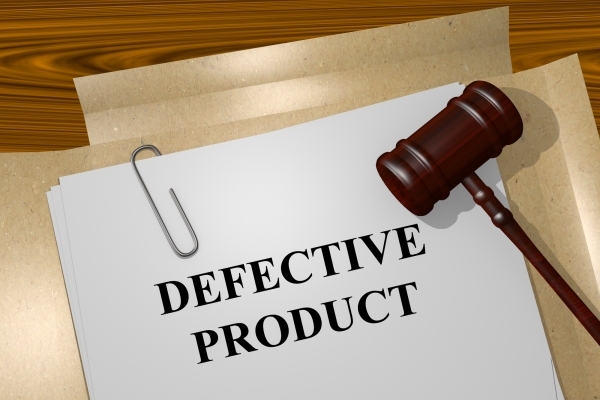 The defective product mentioned above would fall under defective medical devices. Unfortunately, these are more common than we think and they can certainly be life changing if they happen. We are at JML Law firm in Long Beach are here to help represent you during this critical time. We have the knowledge and expertise to get you through this complex issue. We understand that your time and finances are sensitive. This is why we provide your first consultation for free. Call us at 818-610-8800 or click here to find more information about how we can represent you today.